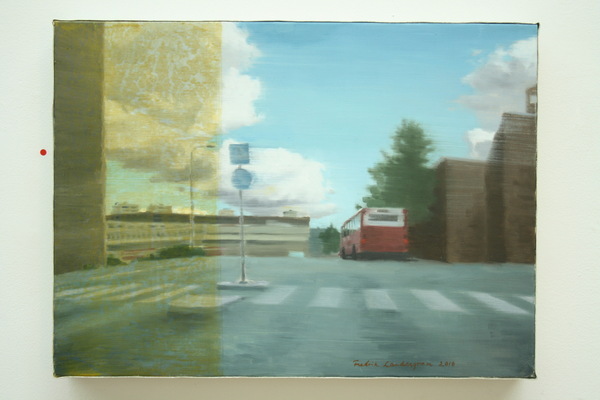 'Bus at S:t Eriksgatan' - - 153 x 172 cm, oil on canvas. 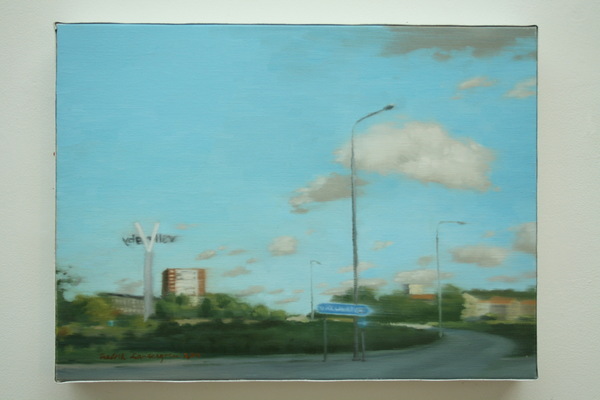 'Ballon travels over yet another day in swedish history... and my own..' - - 200 x 225 cm, oil on canvas. 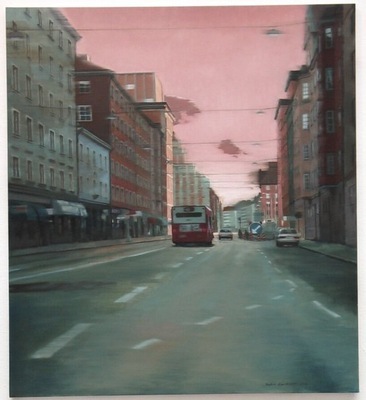 'Sunset at Stocksund bridge' - - 200 x 225 cm, oil on canvas. 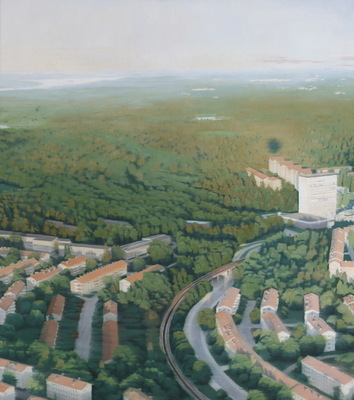 'Ballon view over Sickla' - - 200 x 225 cm, oil on canvas. 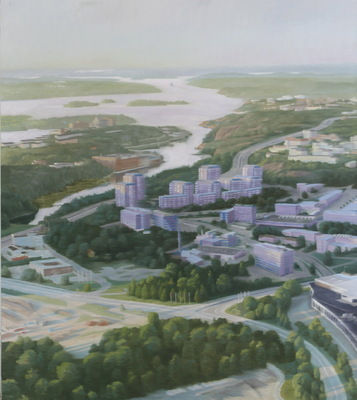 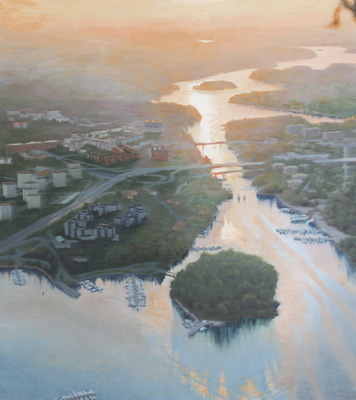 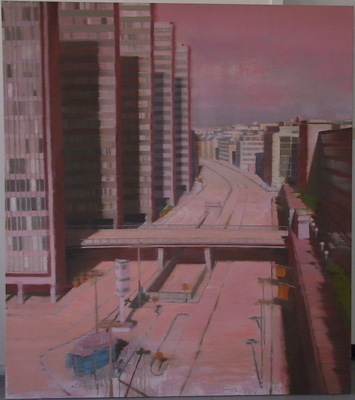 'Pink Sveavägen' - - 153 x 172 cm, oil on canvas. 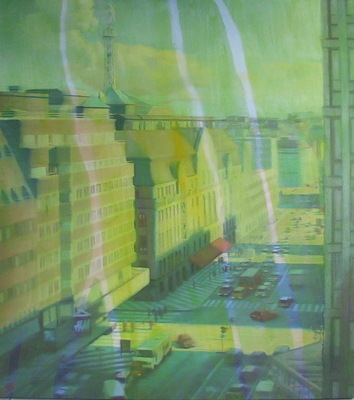 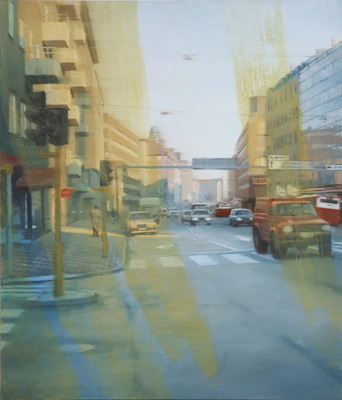 'Hamngatan in strong sunlight' - - 153 x 172 cm, oil on canvas. 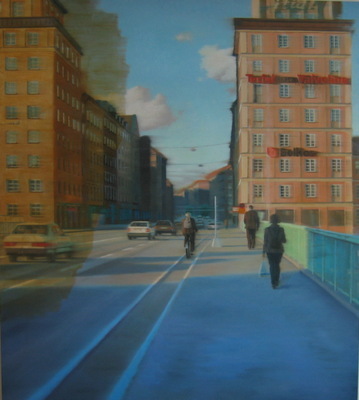 'Man biking at S:t Eriksbron' - - 153 x 172 cm, oil on canvas.